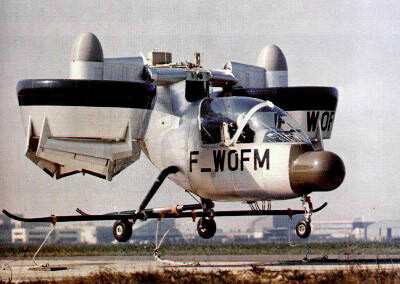 The Nord 500 Cadet was an experimental aircraft developed by the French company Nord in the late 1960s. 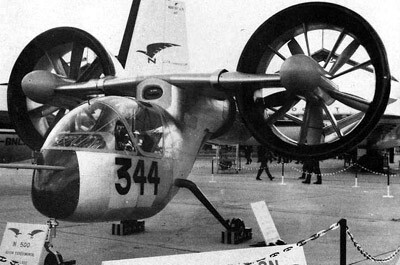 The Nord 500 Cadet was a single-seat ducted-fan powered machine designed to help in the development of VTOL aircraft. 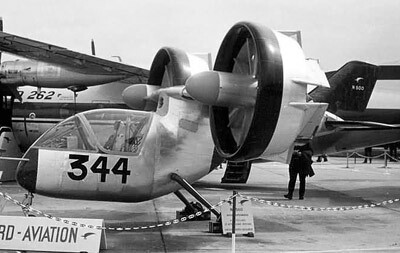 The rather ugly-looking Nord 500 featured two 317-horsepower Allison T63 turbines which drove the large diameter propellors within the ducted shrouds. The ducts could be turned to the horizontal position for vertical lift during takeoff and landing, and then rotated to the vertical position for forward flight. 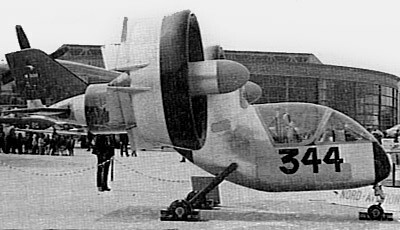 Directional control of the Nord 500 during vertical flight was done by small winglets attached to the bottom of each duct. During forward flight the aircraft was controlled using a conventional rudder/elevator tail setup. The Nord 500 Cadet was 22 ft (6.6 m) long and 20 ft (6.1 m) wide. It weighed only 2,750 lb (1,250 kgs). 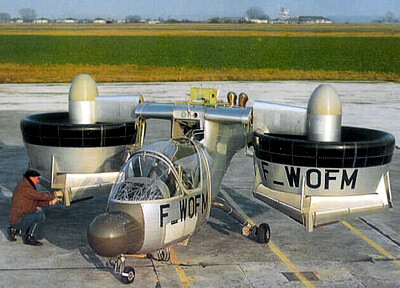 The first Nord 500 was finished in the beginning of 1967, it was used for a variety of mechanical and ground tests. In July of 1968 a second prototype made its first tethered flight. There were never any free flights made, so the designer's target of a 220 mph (350 km/h) top speed were never tested. 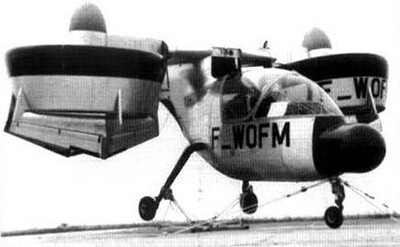 Later Nord merged with the Aerospatiale Corporation and it was renamed the Aerospatiale N 500. A more powerful and advanced version of the aircraft was planned, however it never materialized, and by 1971 the project was canceled.